We review the new Nikon D5600, with built-in Bluetooth, NFC and Wi-Fi, it's designed to be the connected Digital SLR. The Nikon D5600 is an update to the Nikon D5500, Nikon's mid-range consumer DSLR, and features built-in Bluetooth along with compatibility with Nikon's Snapbridge app. The camera has a 3.2-inch tilting touch-screen, and one of the smallest DSLR bodies available. The camera features a 24 megapixel APS-C CMOS sensor, with no OLPF (Optical Low Pass Filter) designed to give the sharpest image quality possible. It features full HD video recording with stereo sound, and built-in Wi-Fi and Bluetooth enables low-power transfer of images to your smartphone. 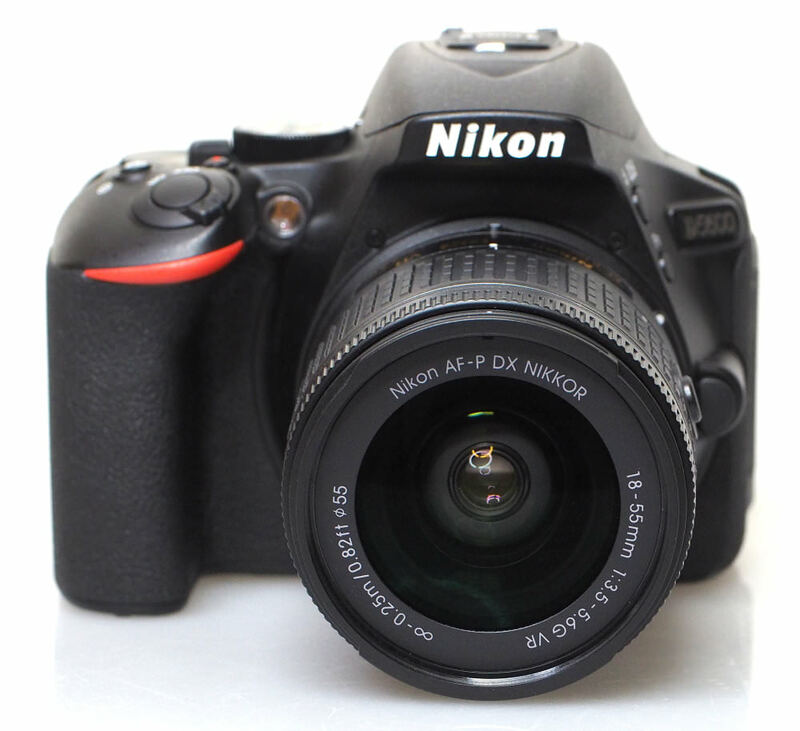 The Nikon D5600 is available in black. 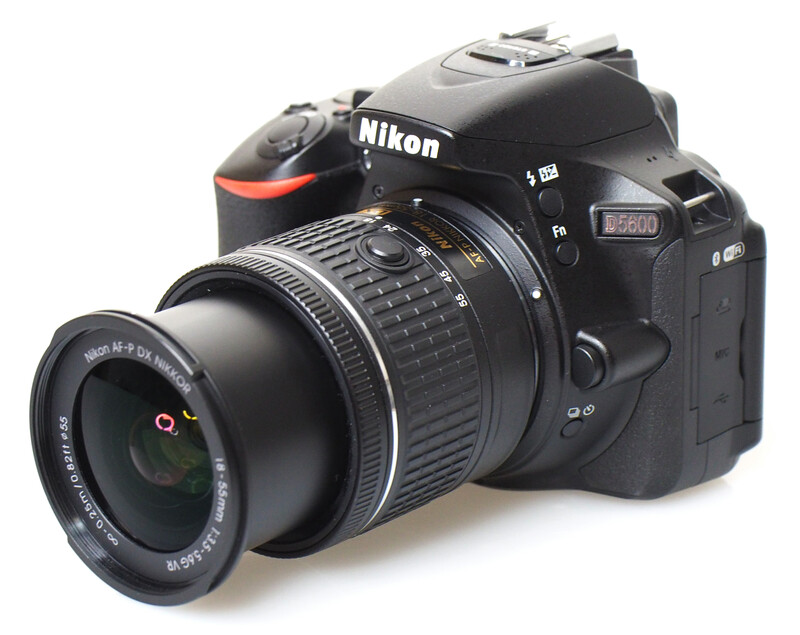 The Nikon D5600 features a 24.2 megapixel APS-C CMOS sensor, with no optical low-pass filter, which should enable sharper and more detailed images. 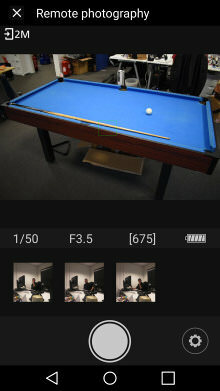 The camera features full manual controls, as well as automatic and scene modes to make it easier to use for beginners. Effects are available including Night Vision that boosts the ISO setting and switches to black and white to take photos at quick shutter speeds even in extremely dark conditions, without the need for a tripod. 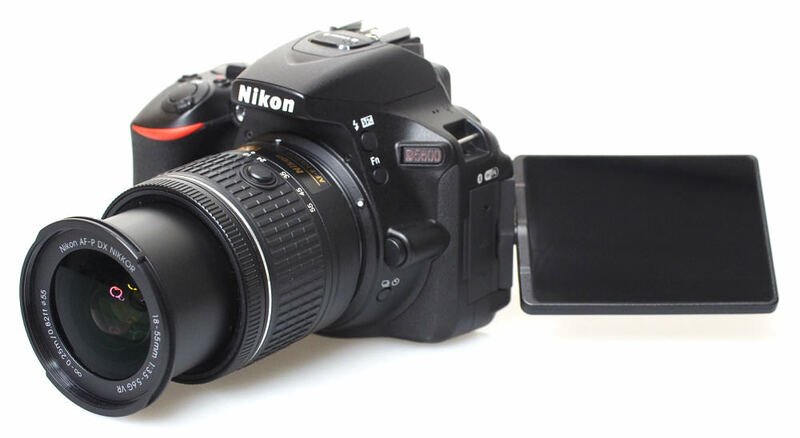 The Nikon D5600 features a 3.2inch touch-screen, and this can be used to change settings as well as set the focus point. Built-in Wi-Fi, NFC and Bluetooth lets you transfer photos to a smartphone or tablet, as well as let you remotely control the camera. From the app you can upload to social network sites such as Facebook. 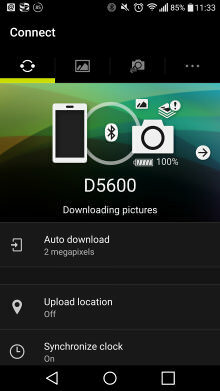 With low-power Bluetooth images will be transferred to the smartphone automatically. FullHD video is recorded at 60p, 50p, 25p and 24p with stereo microphones built-in as well as a mic socket for those who want to improve sound quality and / or use an off-camera microphone. The camera comes with a Nikon AF-P lens, which is collapsible, but lacks the VR / MF switches of the AF-S lens. 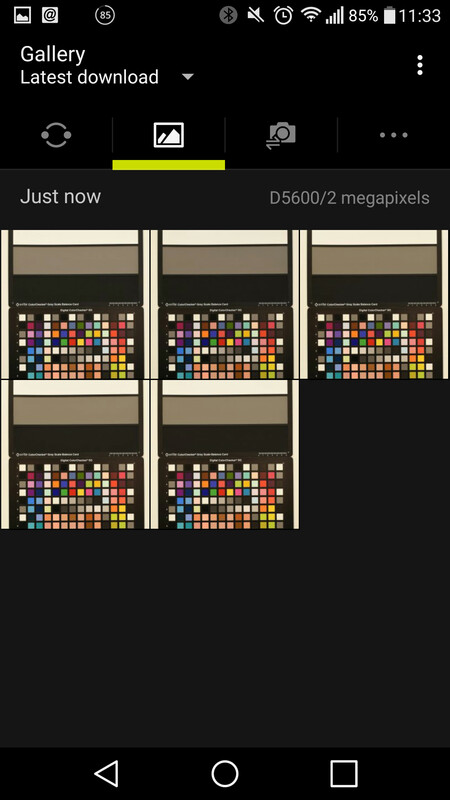 Instead, you can now switch this on and off in the camera menus. The Nikon D5600 has an impressively clear and bright 3.2inch touch-screen with very good viewing angles, and despite the compact body size, Nikon has still managed to include a large screen. The screen can be tilted for viewing from in front of the camera, or for shooting at awkward angles. The camera uses a 39-point AF system, with 9 cross-type sensors, and the focus area is shown in the optical viewfinder clearly with red sections, although the viewfinder isn't the largest, it is much quicker to use the camera with the optical viewfinder rather than live-view. The thin camera body means the handgrip has a much deeper and wider space for your hand between the grip and lens. This makes it very comfortable to use, and the camera is impressively small compared to most other DSLRs on the market. The body is made from a monocoque design, which enables the camera to be smaller, it feels solid and well built, with a number of premium touches such as a stylish finish on the mode dial and command wheel. There is an eye-detection sensor above the optical viewfinder so that the camera knows when you are holding the camera up to your eye. 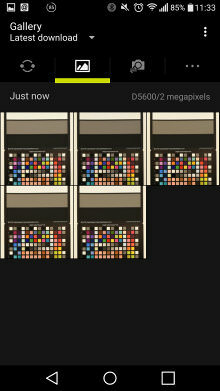 This is useful so that you don't accidentally adjust camera settings on the rear touch-screen. 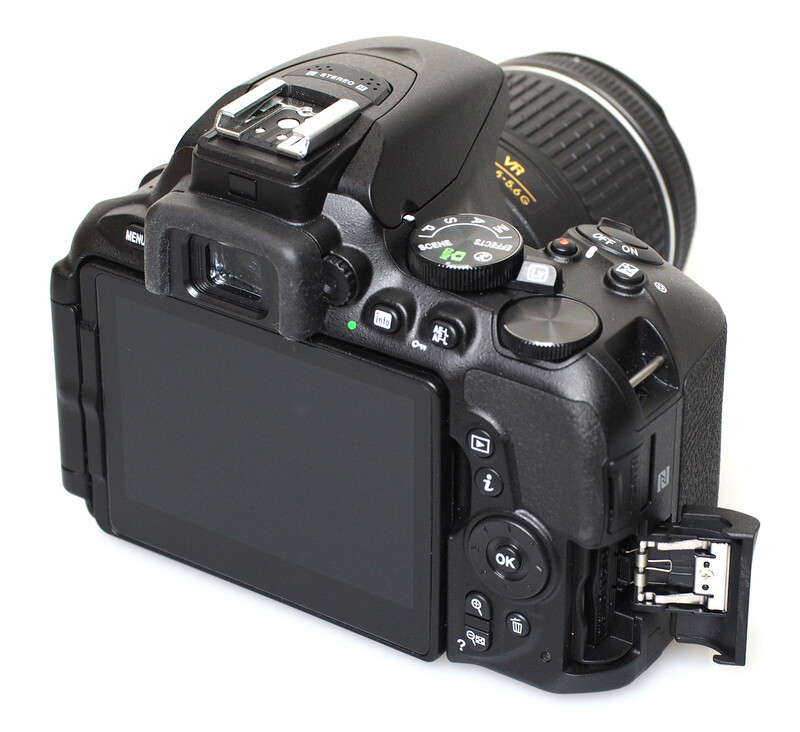 The shutter sound is quite loud, certainly much louder than most mirrorless cameras, and the "Quiet shutter mode" is more of a soft shutter mode, rather than offering a truly silent shutter. 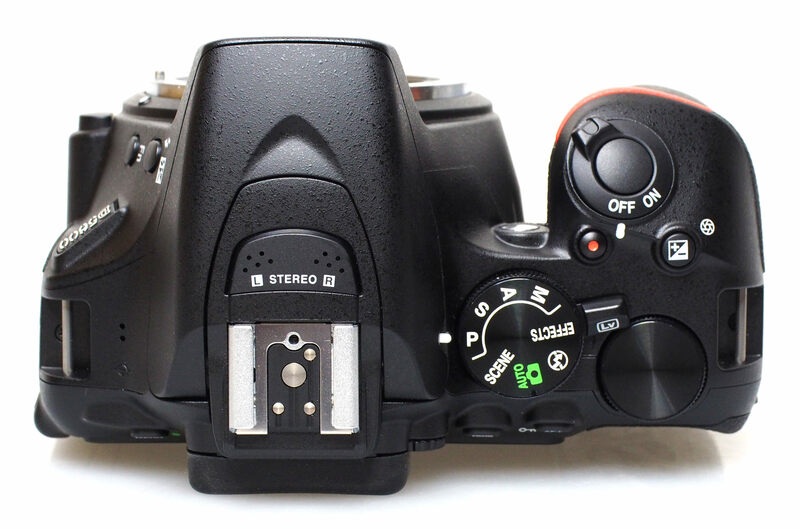 There is no option to shoot using an electronic shutter. The control system on the camera is mostly good, and the ability to use the touch-screen as well makes the camera very easy to use. However, the command dial on the back doesn't let you use it to change settings and options, which can be a little frustrating at times. The other main method of changing settings and options is using the i button, and this lets you set the options on the rear screen without having to go into the menus. Unlike other cameras, you can't assign functions to the 4-way controller, and for more direct access to settings, you'll need to look at the Nikon D7200. Thankfully the menus are neatly and clearly laid out with each section colour coded, and if you need any help you simply press the ? button. 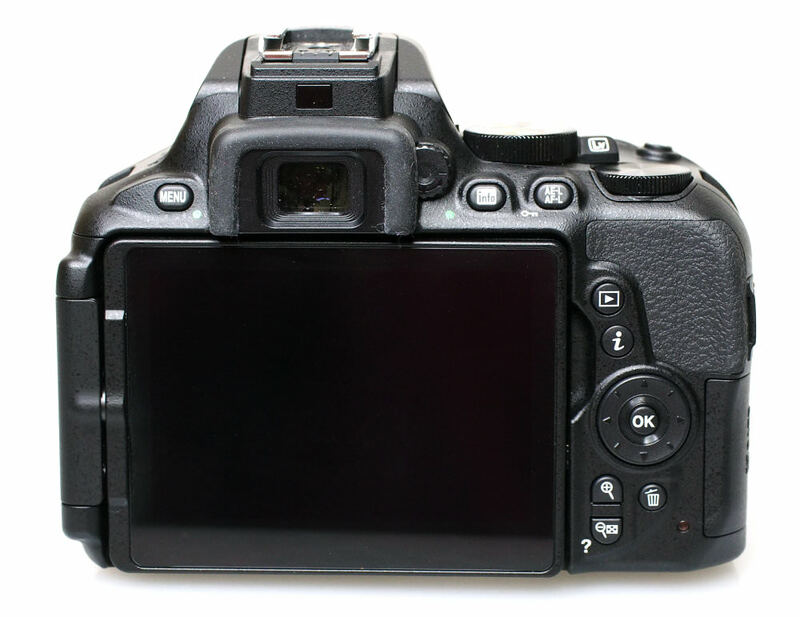 The buttons on the camera are quite small, due to a smaller body, and large screen, and the info button has been moved to the back of the camera. 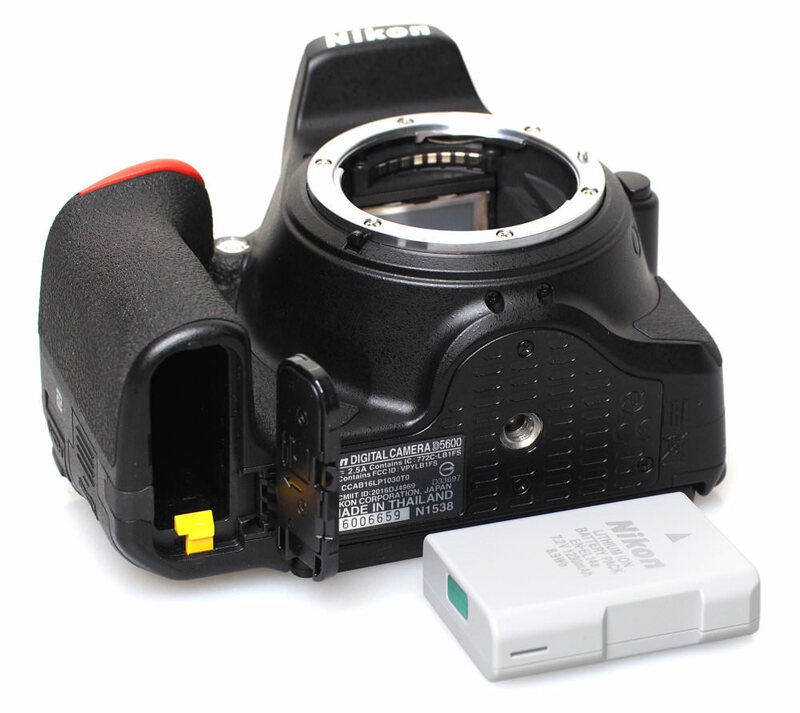 The drive mode button is flush with the body (bottom left), which can make finding it difficult when shooting in dark conditions. Wi-Fi - The Nikon Snapbridge app is available in the Android or iOS app store, and lets you browse and download photos automatically over Bluetooth. To setup remote control of the camera, you then need to connect over Wi-Fi. You can set the focus point with the touch screen on the smartphone, and take photos, although options are quite limited, with no control over any of the camera settings. Battery life - Battery life is rated at an impressive 970 shots according to Nikon / CIPA test results, and the camera comes with a high power EN-EL14a battery with 1230mAh rating. The battery life will be shorter when Bluetooth is left switched on.